For Todd Whatley, the path began when he was a boy growing up in Benton, Arkansas. That’s where he learned to respect the older generation from one of the most influential people he ever met, his grandfather, “Bull” McKinnon. Bull died when Todd was 19, but he had plenty of time to dramatically impact Todd’s life. And he’s the one who planted in Todd the seed of a desire to become an attorney. Like most of us, Todd didn’t take the most direct path in life, but he ended up in the right place. He initially entered the medical field; his mother was a nurse. As soon as he was old enough, he became an EMT and learned to work on an ambulance. That led him to the field of physical therapy. Todd wanted to work with athletes, but there wasn’t much demand for that in Benton. What felt like disappointment, though, led Todd one step closer to his mission in life. Because sports PT wasn’t an option, Todd reluctantly became a home health PT, primarily working with older clients who wanted nothing more than to improve enough to make it to church or the beauty shop. This wasn’t what Todd thought he wanted to do, but it showed him how rewarding life could be when helping people meet worthy goals. It also showed him how difficult it was for people to get quality care without going broke. He decided to do something about it. The seed planted by his grandfather years earlier took root with Todd in the late 1990s, when he worked his way through law school and opened his own law practice in his home town. By 2000, influenced by his respect for his grandfather and his experience as a home health PT, Todd decided to focus his practice on the legal issues facing older people. The Elder Law Practice of H. Todd Whatley was born. Todd’s practice thrived. Seeing an unmet need and prime business opportunity in Northwest Arkansas, Todd opened a second office, located in Springdale, in 2007. Shortly thereafter, he proceeded to open his third and fourth offices in Fort Smith and Bentonville. Because of his success in Northwest Arkansas, Todd decided to take on a partner to manage things in Central Arkansas. Through a series of unexpected connections and fortuitous events, he and Justin Elrod wound up having dinner one night at Macaroni Grill in 2008. At that dinner, Todd made a believer out of Justin, convincing him to leave general practice at a big firm to join him in the fields of estate planning and elder law. Like Todd, Justin’s early experiences prepared him for what would become his life’s work – inspiring people to plan ahead and making sure they do it right. Justin’s own grandparents suffered from several major planning mistakes late in life, and he wanted to make sure other families had the help they needed to avoid those same mistakes. After working together for a couple of years, Todd and Justin created The Elder Law Practice of Whatley and Elrod and opened a fifth office, this time expanding into Hot Springs Village. Eventually the practice grew large enough that it made sense for Justin to purchase and manage the Central Arkansas locations on his own while Todd continued running things in Northwest Arkansas. The Bryant and Hot Springs Village offices operated as The Elder Law Practice of Justin S. Elrod, while Todd operated the offices in Springdale, Fort Smith, and Bentonville as The Elder Law Practice of H. Todd Whatley. The business relationship between Todd and Justin changed again on January 1, 2017. 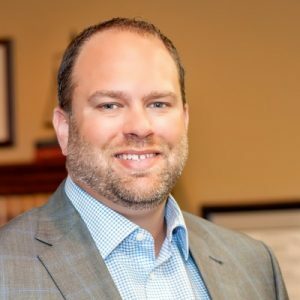 In the months prior, they had several conversations about the prospect of Justin purchasing and managing the Northwest Arkansas offices so that Todd could spend more time working directly with clients and expand his reach into financial services. Again seeing an unmet need and prime business opportunity, Todd opened a new business offering long-term care insurance to people who were rightfully concerned about the rising costs of care. He also continued his legal work helping Justin serve elder law clients at the firm. He turned over the ownership and management responsibilities of the law firm to Justin. While working directly with clients has always been their top priority, Todd and Justin also work to raise the level of awareness regarding elder law issues both locally and nationally. Both were invited to join the board of directors for the National Elder Law Foundation, the ABA accredited organization tasked with providing the Certified Elder Law Attorney designation to attorneys across the nation who meet certain high standards of practice. They are two of only three Certified Elder Law Attorneys in Arkansas. Todd even served as the organization’s president until his term ended earlier this year. Both were also adjunct professors of elder law, Todd at the University of Arkansas and Justin at the University of Arkansas at Little Rock. And both are invited to speak regularly to groups across the state on the topic of estate planning and long-term care planning. At the firm, a lot has changed in the past 18 years. What started with one location now has five. The original office in Benton moved to Bryant years ago. The Springdale office relocated to Fayetteville last year. The firm started with one attorney; it now has eight. A name change gradually moved from the Central Arkansas locations to Northwest Arkansas, too. The offices that once operated under several different names—The Elder Law Practice of H. Todd Whatley, The Elder Law Practice of Justin S. Elrod, and The Elder Law Practice of Whatley and Elrod—all now operate as one firm, all doing business as The Elrod Firm. But while growth necessitated some changes, one thing has stayed the same. Todd, Justin, and the attorneys and staff who have joined them in their life’s work have always maintained their passion for helping people plan ahead. The path may have been long and winding, but it’s hard to miss how the universe conspired to bring them together on this rewarding journey.